In the first of our series about writing and publishing we interviewed Dr Andrew Harrison, Director of the D.H. Lawrence Research Centre in the School of English at the University of Nottingham. 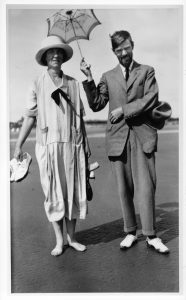 Andrew has recently published a biography, The Life of D.H. Lawrence, so we were keen to find out a little bit more about how and why this might come about. Andrew, started off our interview by explaining that a biography is a very different experience to writing literary criticism. Most Lawrence scholars have written biographies or biographical essays about Lawrence at some point in their careers, but being at Nottingham meant that Andrew had to hand all the resources he needed to work on the life. Andrew was able to take account of recent findings and discoveries that have come to light since the last biography was published in 2005. Since Andrew first arrived at the University in 2010 Manuscripts and Special Collections has acquired a number of new Lawrence manuscripts and research items on his recommendation, or in collaboration with him. Since 2006 he has also been responsible for discovering new Lawrence letters, and for editing and publishing them in the annual Journal of D. H. Lawrence Studies. 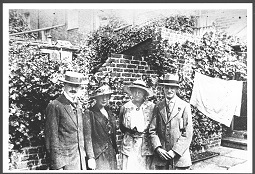 The biography draws on items in the Lawrence collections at Nottingham to describe the author’s early life in Eastwood and the two-year period between 1906 and 1908 he spent studying at what was then Nottingham University College. Andrew recently spoke about his research and read some parts of the biography at a meeting of The D.H. Lawrence Society , some of whose members have lived all their lives in Eastwood and can recall the town as it used to be and as Lawrence would have known it. Andrew believes that the international appeal of D.H. Lawrence – and so the popularity of the D.H. Lawrence Research Centre at Nottingham – reflects the author’s cosmopolitanism and his interest in other cultures and ways of life. However, there is also a crucial cultural significance to the way that Lawrence charts changes in English society. And there are many other dimensions of his work that people can connect to, including his interest in a range of topics from suffragism, education, war and ecology to psychoanalysis. 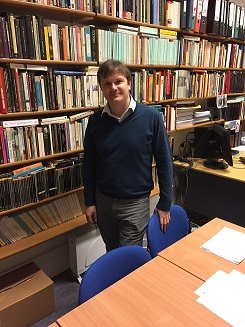 Current and future students who study in the School of English at The University of Nottingham have access to Andrew’s expertise, but they can also make use of the unique and invaluable D.H. Lawrence collections in Manuscripts and Special Collections. Accessing original research materials and resources adds a whole new dimension to the study of the author which cannot be grasped through online or digital resources. 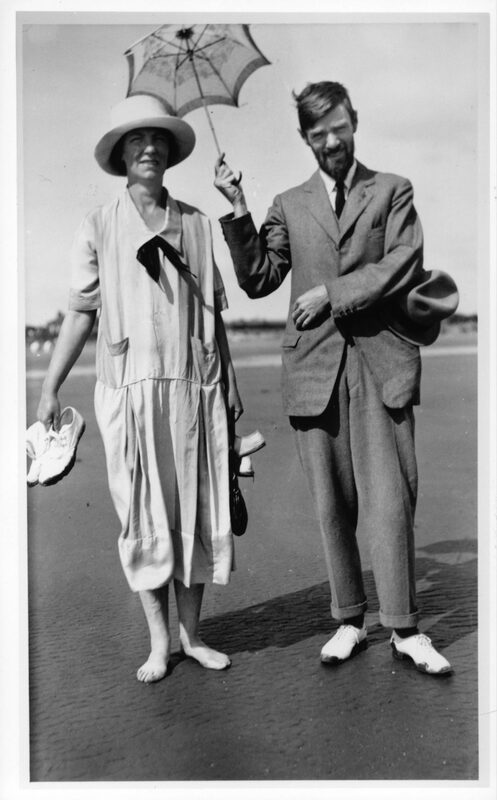 D.H. Lawrence and Ada Clarke (née Ada Lawrence) standing on the beach at Mablethorpe, Lincolnshire, August 1926; D.H. Lawrence is carrying a small parasol and his sister Ada is barefoot. The heritage of D.H Lawrence is integral to the work of UNESCO Nottingham City of Literature. The University of Nottingham has secured its longstanding importance in this field of research, through the work of Andrew and the commitment of his many predecessors in Lawrence studies in the School of English. In between his teaching and research commitments and the occasional media appearance, Andrew will be delivering a lecture on Lawrence at the 2017 Prague International Book Fair in May 2017 and presenting a paper at the international Lawrence conference in London in July 2017. If you are an author from the University of Nottingham and would like to contribute to Library Matters, we would love to hear from you. Please get in touch by email with Katherine.Beers@nottingham.ac.uk. Thank you for your kind comment James, and thanks too for using the biography on your Lawrence module at NTU. I’ll have a chat with you about the new photo you mention when next we meet (perhaps at the next Lawrence Society talk) – I’m sure I can help you to acquire a scan of it.